Birds are more intelligent than most people give them credit for. The insult “bird-brain” doesn’t really suit the majority of pet birds. 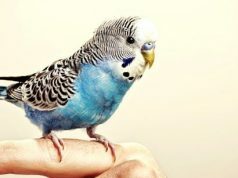 Like most intelligent animals (including us), pet birds become bored and restless if they don’t have something to occupy their minds. 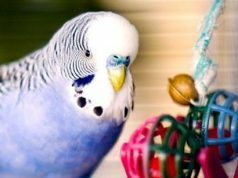 Also, there are certain behaviours that will make it easier for your pet bird to fit into your family. Chew toys and ladders are a good and necessary start, but you should consider training your bird. It helps to start with a healthy hand-raised bird. Many bird-breeders raise the chicks as pets in their households. This is an ideal situation. Aside from legal and ethical issues around poaching wild birds for the pet industry, the captured animal is traumatized and usually sick. 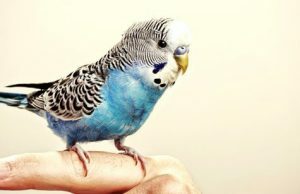 Taking in rescues and fosters is wonderful, but probably not the wisest choice for your first bird, unless the re-homed bird is known to be healthy. Hand-taming and Stepping Up are especially important for birds that will have direct human interaction, such as parrots and doves. “Stepping Up” refers to the skill of walking onto a human’s hand on request. 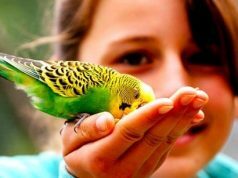 “Hand-taming” is simply the task of reassuring the bird that being held is safe. Members of many species enjoy cuddling, once they feel safe, while some prefer to just sit on people. Hand-raised birds tend to be hand-tamed, of course. Some of the chicks will even have learned the “Step up” request by the time they are ready to go home with you. 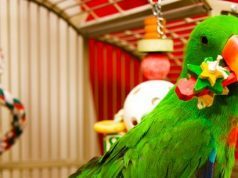 It may come as a surprise, but pet birds can learn to understand words and phrases. Some of them can even speak and compose their own phrases. The parrot and corvid families are well known for this. Within species known for speaking, such as African greys and green-cheeked conures, the degree of vocal ability varies widely from one individual to another. Male birds are supposed to be better at speaking than females but you will find that some hens are especially adept. If talking ability is important to you, bear in mind that the birds with deeper voices will be easier to understand, all else being equal. As for Mathematics, have you ever seen the puzzle games that are made for small children, in which a coloured shape fits into a shaped hole? These puzzles are also made for parrots, and are sold in various sizes for different species. (A plastic shape that is a good size for a macaw to pick up in his beak is simply too heavy for a cockatiel to manage.) Start with a couple shapes, or two colours, and gradually work up to complicated puzzles and counting. “Recall training” refers to teaching the bird to fly to you when called. It can also include walking, climbing, or running to you. Some birds pick it up quickly (I’ve had a chick learn it before she finished learning to fly) and some birds take several months to catch on. It’s a neat trick to show your friends, but it is also your first line of defense, if your bird ever gets loose outside or in a dangerous part of your house. Clickers are small devices that are held in the hand, and which produce a brief “clicking” sound. These are excellent for signaling to a bird that you approve of whatever he just did. This fast signal is endlessly useful in training the basics and for tricks such as skate-boarding. At first, the click is accompanied by a treat each time. Later on, the treats are only used sometimes. 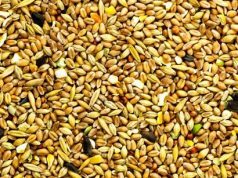 Treat foods should be healthy and tasty, but not too big or calorie-dense, because you don’t want your bird to get fat. Small pieces of a favourite nut or seed and pieces of non-sugary breakfast cereal (such as Cheerios) are good choices. What’s the next step? Talk to your bird. “Who’s a pretty bird? Who’s a pretty bird? Sunny’s a pretty bird; yes, he is”. Sure, you’ll probably find that you and your friends sound as though you’re addressing a toddler, but that’s okay. Birds learn from your tone and repetition, too. Also, check out some books and YouTube videos about bird tricks and training for the kind of bird you have. That will give you an idea of what is possible, and spark some ideas for amusing your feathery little friend. Previous articleWhy Does My Dog Lick His Paws? 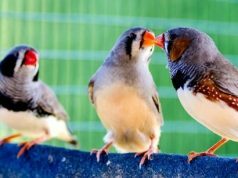 Bird tricks are learned through observation and imitation, so what your bird learns depends on the time and effort you put into their training.